The intent from day one of the Light Up The LOVE Global Movement has been to inspire acts of love, peace, and unity around the world. After last week’s U.S. election, the power of Light Up The LOVE is needed now more than ever. LUTL understands the sadness and uncertainty that many people are feeling. Remember, we always have the ability to choose thoughts and actions of Love, Kindness, Faith, Hope, and Compassion over Hatred, Anger, Violence, and Fear. Each of us has the power to make a difference in this world by being of service and supporting a cause, initiative, or politician that shares your same passions and beliefs. Being complacent achieves nothing. Inspired actions of Love and Kindness make everyone feel good, feel empowered, and can truly make a difference. As Gandhi said, “Be the change you wish to see in the world.” It just takes a little time, effort, and practice … and practice makes permanent. Light Up The LOVE – It’s ALWAYS an empowering way of life and inspiring call-to-action! 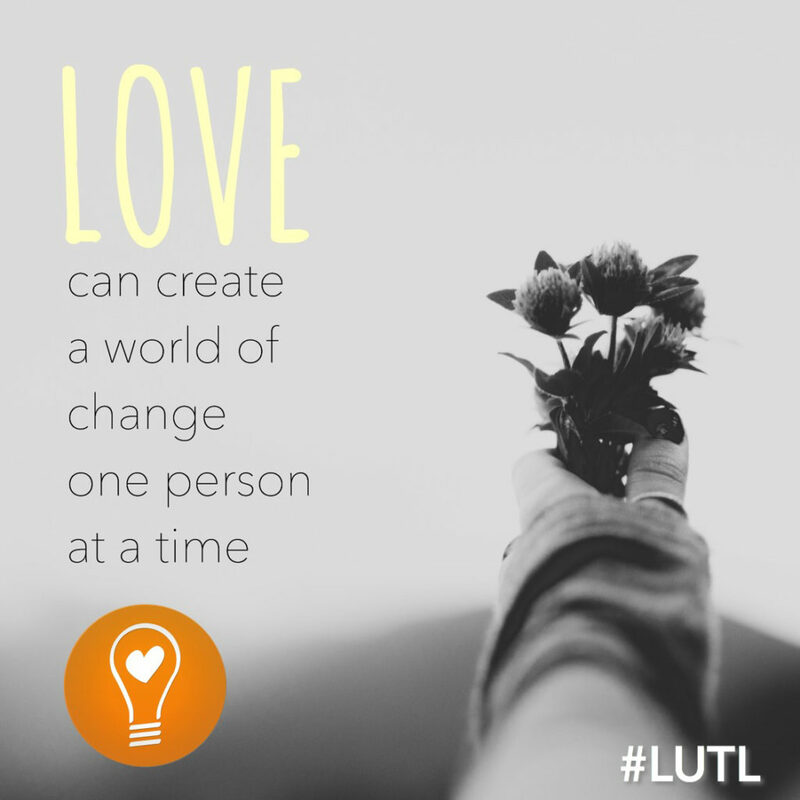 This entry was posted in The Movement and tagged #LUTL, light up the love. Bookmark the permalink.